Life changed dramatically for Hanna Hughes, who we introduced you to to a few weeks back, after she was diagnosed with cancer at age 16. That diagnosis led to Hanna spending long stretches of time at Mayo Clinic Children's Center in Rochester, Minnesota, where, eventually, she would have her right leg amputated. 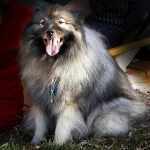 The experience had a profound influence on the direction of Hanna's life. And it turns out, on the lives of others as well. Ben Groteboer and Allison Galkowski have been close to Hanna since the three started kindergarten together. "We all wore glasses — maybe that's why we became friends!" Allison tells us by way of explaining their initial bond. Whatever the source, the connection among the three only solidified as they grew older. So when Ben and Allison learned Hanna had cancer, they took the news hard. They also took it to heart. "We realized she'd need people to be there for her," Ben says. He and Allison spent as much time as possible at the hospital. "We'd bring her homework up, hang out, and just tried to keep things as normal as we could for her," Ben tells us. As they sat by Hanna's bedside, Ben and Allison noticed another group of people trying to make things easier for Hanna: the nurses who were caring for her. "Nurses made such a difference to Hanna," Allison says. "They could turn a day around for her." They decorated Hanna's room, brought in ice cream for impromptu parties, and made Hanna's friends and family feel welcome. "They did any little thing they could do to make it not seem like Hanna was sitting in a hospital room," Ben says. Although they were just sophomores in high school at the time, Ben and Allison made a decision. They were going to become pediatric nurses someday. And both hoped to return to Mayo Clinic. “I realized I wanted to serve people the way Hanna’s nurses served her,” Allison tells us. And that's just what she and Ben have been doing since July, when both began working on the very floor where Hanna once received care. Many of the nurses who cared for Hanna are now their colleagues. "I looked up to those nurses as role models, and it's humbling to work with them now," Ben tells us. "I thank my lucky stars every day that I get to come to work here." We're guessing his patients thank their lucky stars as well. 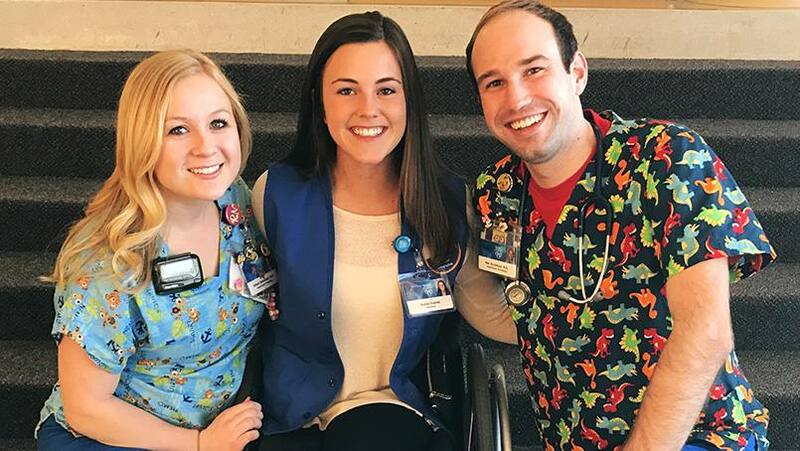 Because as Hanna tells it, both Ben and Allison have a "different perspective on nursing," that "allows them to connect with patients on a deeper level." That's something Hanna gets to witness firsthand. She's also returned to Mayo Clinic, serving as a volunteer on the unit where she was once a patient. "My favorite nights are when the three of us are all on the floor together," Allison tells us. "It's all come full circle." Circle back and leave us your thoughts below. You can use the handy social media tools to share this story with others. Glad to see Ben on here! I thought of him when the original story came out. I heard his tale about a year ago at a Viterbo scholarship lunch when we got to meet recipients of our scholarship, the Barry and Maria Stahl Family Nursing Scholarship. Ben sounds like just the sort of person we had in mind when we began it! Such an inspirational story! So proud of you, Ben!